Capacity building « What Happened to the Portcullis? 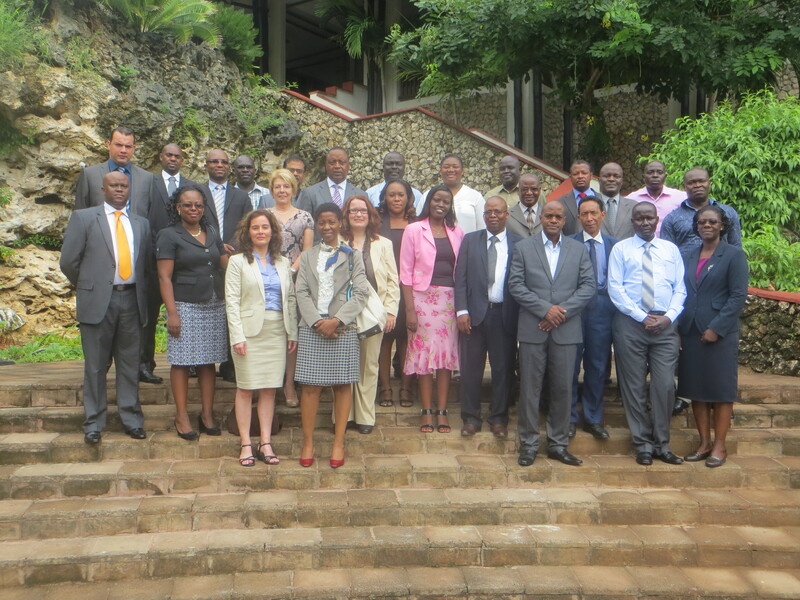 The WCO and the ESA Regional Office for Capacity Building (ROCB ESA), in cooperation with the Kenyan Revenue Authority, organized the first WCO ESA Regional Workshop on Resource Mobilization in Mombasa, Kenya from 19 to 23 May 2014. This workshop was one of the regional key activities in 2014 under the WCO-ESA Project ‘Building Trade Capacity through Customs Modernization in the East and Southern Africa” funded by the Finnish Government. This workshop was also part of the ongoing efforts of the WCO and the ROCB ESA in supporting Customs Administrations to enhance engagement with development partners for their reform and modernization programmes. Previously, the WCO and the ROCB ESA had organized the first Regional Meeting on Donor Engagement in March 2012 in Mauritius, which provided Members in the ESA region with the opportunity to enhance their understanding of partnership with development partners. The workshop in Kenya was a follow-up on the event in 2012, enabling participating Members to address needs in the field of Resource Mobilization which are essential for subsequent Capacity Building / Customs Reform and Modernization processes at regional and national level. The workshop was facilitated by Ms. Heike Barczyk, WCO Deputy Director Capacity Building, Ms. Sigfridur Gunnlaugsdottir, WCO expert from Iceland Customs, and Ms. Riitta Passi, Project Manager within the Finnish-funded project. A total of 25 participants from 17 ESA regional members took part in the workshop. Participants developed first draft business cases/project proposals that could in the future lead to potential real Capacity Building projects. Reflecting on the current Customs environment, the workshop equally addressed the WTO Agreement on Trade Facilitation (ATF), potential interest from development partners in supporting countries with its implementation and how to best reflect this in respective interaction with those partners including how to address the respective alignment in the different steps towards developing a written project proposal. The workshop is expected to further enhance the collaboration between Customs administrations and development partners for the successful implementation of Customs reform and modernization. The WCO, the ROCB ESA and participating Members agreed to continue to work together in this regard. Source: WCO – article provided by Ms. Riitta Passi, Project Manager, Nairobi. Fortunate Mboweni of Bidvest Panalpina Logistics has been named South Africa’s Young International Freight Forwarder of the Year. 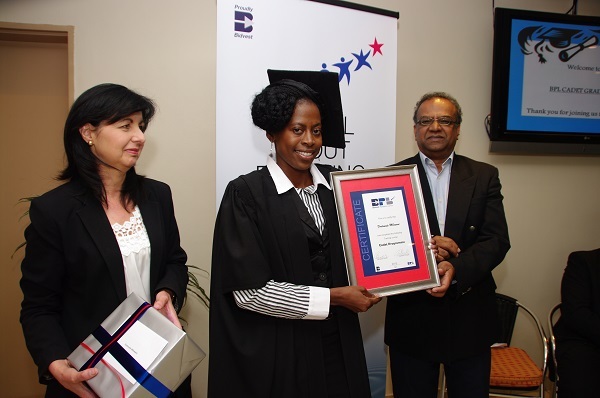 According to David Logan, CEO at the South Africa Association of Freight Forwarders (SAAFF), the award was based on her submission on the challenges of super abnormal loads and the complexities associated with the handling of ultra-sensitive cargo. The competition was initiated by its lead sponsor, the TT Club, in 1999 and its objectives are the encouragement of training and development in the industry as well as the elevation of professional standards . Entrants who are brave enough to take up the challenge are obliged to write a dissertation on a topic that is set by SAAFF. This topic allows the entrant to write about current and often challenging issues and to demonstrate their knowledge and expertise on export and import forwarding and clearing matters. SAAFF’s judging panel carefully adjudicates each entry in order to identify a winner, whose name is then submitted as the candidate for the regional round. As the competition is supported by FIATA (The International Association of Freight Forwarding Associations), it is adjudicated globally through its regional structures, which under FIATA nomenclature is RAME. The winner of this round then goes through to the finals comprising the three other regional winners and the global winner is announced at the FIATA Global Congress each year. The latest edition of WCO News reflects on the Secretary General’s thoughts on what the WCO has done, what it will be doing, and what will impact on its work in the coming months. The WCO will actively focus its energies on it’s four strategic packages concentrating on revenue, compliance and enforcement, economic competitiveness and organizational development. Together, these packages support the adoption and application of modern Customs practices and raise awareness on the vital role of Customs in international trade. From borders to boundless: the digital dilemma in Customs – it discusses two questions – How does an industry traditionally focused on physical borders remake itself for digital commerce, which inherently circumvents such borders? and, Why must Customs agencies transform to address the rise in digital goods and services? For those responsible for the security of our borders, transit networks, VIPs and high-profile sites, the threat posed by more creative adversaries is compounded by the increasing frustrations of passengers and visitors, when subjected to existing security checks. The article discusses a range of ingenuity which technology nowadays provides to these adversaries, and the elements of new Terahertz imaging equipment to assist border agencies in the combat thereof. Window (SW) – In the 20-plus years since they first opened in Singapore and Sweden, SWs have remained a central focus of border clearance strategies, even though the majority of Customs administrations have not implemented them. Although design plans vary considerably, most SW systems support an electronic data exchange model which allows for (i) Single submission of data and information; (ii) Single and synchronous processing; and (iii) Single decision-making for release and clearance. This article considers 4 best practices which governments should consider when implementing Single Window programs. The ongoing global financial and economic crisis affects governments, organisations and citizens in different ways. It would seem that no individual or any organisation has the proverbial ‘silver bullet’ to normalise the situation either. Today, probably most Customs and Border agencies are undergoing ‘modernisation’ or some form of restructuring. Modernisation in itself implies automation or digitization of information changing the lives of the average customs (border) official as well as the expectations and predictability of service to traders and trade intermediaries around the world. 9/11 forever changed the role of Customs and for most of governments, border regulatory authorities as well. Changes in Customs have since been focussed on alignment to policy, standards and guidelines as advocated by the WCO. National adoption of these remains the foremost critical step in establishing a country’s ability to ‘connect’ with the world. A national administration should seek inclusivity of its trading community lest its modernisation be regarded as self-serving. Simultaneously, regional economic communities also seek radical change, albeit on a regionalisation level. Pressures on national (sovereign) nations develop given high-level political commitment to regionalisation, often without taking into account their respective countries’ state of readiness. This creates a false sense of commitment which results in regional failures. Behind such regional initiatives are normally a host of sponsors, purportedly with the right experts and solutions to rectify the ‘barriers’ which prevent a national state from integrating with its neighbours and global partners. Sound familiar? If so, it wouldn’t do national representatives any harm to refresh themselves with the under mentioned WCO tools and validate this in relation to the direction which their organisation is headed. These form part of the WCO’s Customs’ in the 21st Century Agenda. It is also recommended reading for the various regional economic communities (RECs) – here I refer to the African continent – who are not always au fait or fully appraised on the ‘readiness’ landscape of the member states they represent. The Economic Competitiveness Package (ECP) (Click the hyperlink for more information) is currently a matter of high priority at the World Customs Organization (WCO). Economic competitiveness starts with trade facilitation and Customs administrations undeniably play an important role in this respect. Indeed, facilitating trade is one of the WCO’s key objectives and the Organization has contributed, through its tools and instruments as well as through technical assistance, to increasing the economic competitiveness and growth of Members. The Revenue Package (RP) (Click the hyperlink for more information) was developed by the World Customs Organization (WCO) in response to WCO Members’ concerns in regard to falling revenue returns in the light of the global financial crisis and declining duty rates. Significant progress has been made since the adoption of the WCO Capacity Building Strategy in 2003. However, new and emerging key strategic drivers impact on international trade and the roles and responsibilities of Customs administrations. This requires that all our capacity building efforts remain responsive and needs-driven to ensure beneficiary Customs administrations can obtain the support they need to pursue their reform and modernization. This Organisational Development Package (ODP) (Click the hyperlink for more information) outlines the basic approach of the WCO towards organizational development. It provides a simple and accessible overview of the texts, tools and instruments that relate to this topic. It refers and offers access to these resources but does not purport to capture all knowledge and practices within this extensive area. The Compliance and Enforcement Package (CEP) (Click the hyperlink for more information) has been developed in order to assist Members to address the high-risk areas for Customs enforcement. The Customs in the 21st Century Strategy calls on Customs administrations to implement modern working methods and techniques. In this context, Customs should be equipped with the necessary tools that allow it to effectively manage supply chain risks and enforce laws and regulations in cases of non-compliance. In discharging this mandate, the WCO, in close co-operation with Members, has created an extensive library of instruments, tools, guidance materials and operational co-ordination activities to support Customs compliance and enforcement actions. These tools new form part of the CEP. The SADC Customs Training of Trainers Programme 2013-2015 was initiated recently from 26-30 August 2013 on ‘Communication and Facilitation Skills’ at the South African Revenue Service (SARS) Academy, Pretoria, South Africa. The objective of the training was to give the trainers the necessary skills and expertise to teach Customs officials and stakeholders in an effective and professional way. 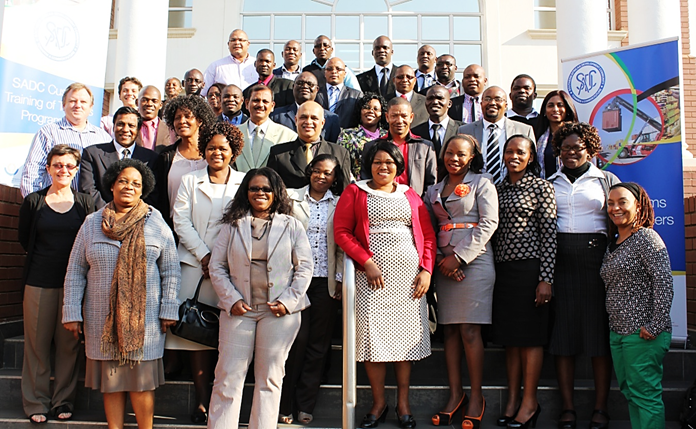 The training was attended by forty (40) participants from 14 SADC Member States. The SADC Customs Training of Trainers Programme 2013-2015 was approved by the Sub Committee on Customs Cooperation (SCCC) in May 2013. The main objective of the programme is to provide technical and professional support to the implementation of the SADC Protocol on Trade, particularly in view of the contribution of Customs Administrations to the successful implementation and consolidation of the SADC FTA. It is therefore meant to support implementation of agreed instruments and programmes under the SADC Protocol on Trade. At a meeting hosted by the Commissioner near Bela Bela, South Africa from 7 to 8 March 2013, delegations from the Customs Administrations of Brazil, Russia, India, China and South Africa (BRICS) met for the first time. The BRICS Customs administrations exchanged experience and ideas in a spirit of openness so as to identify areas for cooperation so that they can most effectively and efficiently facilitate legitimate trade and combat illicit trade and Customs fraud. From 27 to 28 March, South Africa will also host the BRICS Summit in Durban, to be attended by various Ministers and the BRICS Heads of State. The Heads of Customs committed themselves to consolidating and building on the cooperation that has already been established so that they can collectively curb Customs offences, safeguard the international supply chain and achieve effective enforcement of Customs legislation, while facilitating legitimate trade,both among BRICS countries and also globally. As part of their cooperation to build Customs capacity in relation to human resources, technologies and procedures,the administrations would look into various practical and innovative solutions and endeavour to share their resources, knowledge and best practices with each other. A BRICS Customs mechanism will be established, including attachés networks based in Brussels and other strategic places, to identify issues of common interest, develop common responses and ensure regular engagement and interaction, including before important multilateral meetings. The administrations also agreed to ensure that there is an enabling legal basis between them to support intra-BRICS Customs mutual administrative assistance and the exchange of Customs information. Such assistance and exchange will assist in combating illicit trade and protecting revenues and societies. To further facilitate trade and reduce the Customs administrative burden on both trade and the administrations themselves, the administrations will exchange information in various areas of common interest and concern, including on the simplification of Customs procedures and the use of modern technologies and techniques. 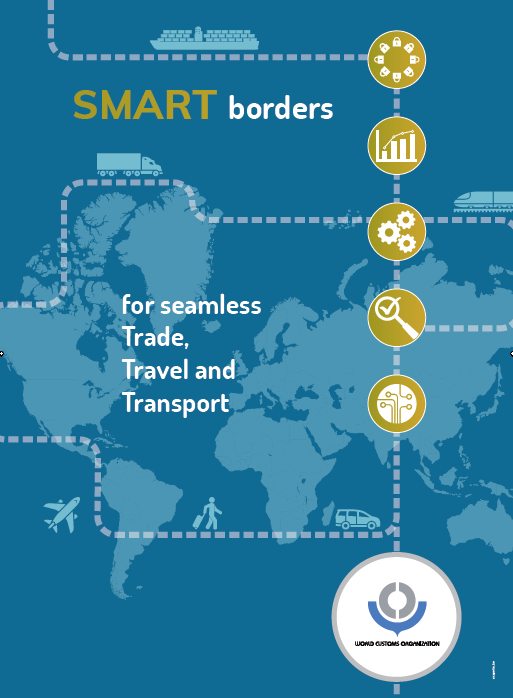 The administrations will also work towards possible solutions for achieving mutual recognition of Customs controls and of trader management programs aligned to the Authorised Economic Operator (AEO) concept of the World Customs Organization (WCO), establishing Customs interconnectivity and supporting the WCO’s work on developing the Globally Networked Customs (GNC) model. Opportunities for enforcement cooperation will also be explored, including possible joint actions, information sharing and other enforcement assistance. The use of international instruments developed by the WCO, including Conventions, Recommendations, Decisions and Declarations that support Customs trade facilitation, compliance and enforcement will be actively promoted. 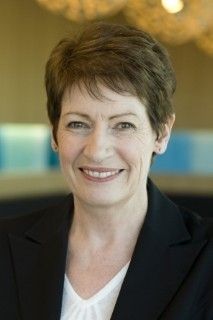 The Secretary General of the World Customs Organization (WCO) commended New Zealand’s strong reputation for border management. During a recent visit by the WCO’s Secretary General, the NZ Customs Comptroller said that New Zealand takes its WCO responsibilities very seriously and works closely with the WCO to develop global standards for trade.This helps to ensure a stable trade environment for New Zealand businesses to operate in around the world. The Secretary General, Kunio Mikuriya noted that the WCO is impressed with the capacity building assistance NZ Customs has given its Pacific neighbours, and enjoyed discussing New Zealand’s valuable contribution to the WCO, with Customs and the Minister of Customs, the Hon Maurice Williamson. The Pacific is an important region for New Zealand and NZ Customs has recently worked with the Cook Islands to introduce new technology and systems to improve border security to help facilitate legitimate trade and travel. “New Zealand has been an influential member of the WCO, and has world leading expertise, particularly with its involvement in the development of a standardised data model for trade,” said Mr Mikuriya. In recent years NZ Customs has included the development of a standardised customs data model that will be used in the Joint Border Management System (JBMS). This data model is unique as it incorporates biosecurity and food related information, and means for the first time, one data message can contain all information that border agencies require. This will streamline border processes for clients who will use the Trade Single Window when it is introduced next year. Source: NZ Customs. With the increase in the number of natural disasters, Customs administrations have been called to react more efficiently and effectively, by applying modern procedures to facilitate the rapid entry, exit and transit of disaster relief consignments, including relief personnel, needed to assist victims. As a concrete response, in June 2011, the World Customs Organization (WCO) adopted a coherent strategy, in the form of a Resolution with a set of practical recommendations for Customs on what to do in the event of a natural disaster to speed up the clearance and release of relief consignments at borders. Among other things, the Resolution instructs the WCO Secretariat to create a dedicated web page on the WCO public website, containing all existing instruments of relevance to natural disaster relief, including useful links to tools developed by various WCO partners involved in managing natural disaster relief operations. 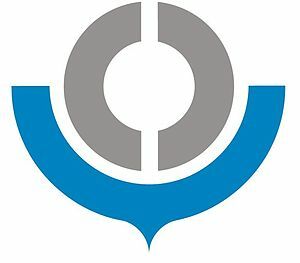 The WCO Secretariat is pleased to announce that this dedicated web page on the role of Customs in natural disaster relief is now available on the WCO public website and includes a discussion forum hosted by Club de la Réforme – an online WCO think-tank to facilitate communication and exchange of experiences and best practices between WCO Members.